Welcome to the third part in our series of troubleshooting articles dedicated to the Apple iPhone 6 Plus. As you may already know, this is one of the newest iPhone model of the company released recently (the other being the iPhone 6). 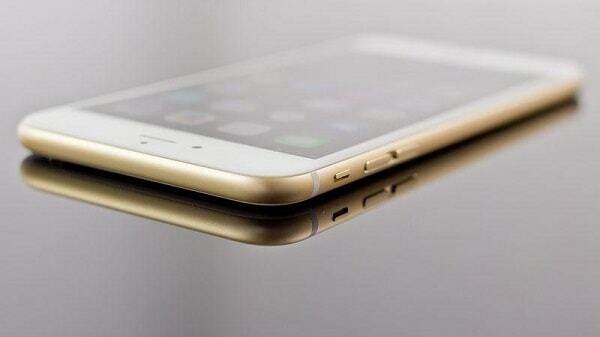 This is also the first iPhone that sports a large display of 5.5 inches. While this model is undoubtedly one of the best, if not the best, iPhone models out in the market today, it does have its fair share of issues. This is where we come in as we try to help our readers resolve these phone issues. Sometimes a reboot is all it takes to fix the phone while in some cases several troubleshooting steps have to be done. Problem: I am missing calls because my phone does no longer ring. It is NOT in silent mode (switch in the non-red position), it is NOT in airplane mode, it is NOT in “do not disturb” mode. Ringer is to a medium value. It just doesn’t ring. Why? It’s running on iOS 8.1. Solution: This issue might be caused by a glitch in the software. Since your phone is still running on iOS 8.1 try to get the latest update on your phone (I believe it is iOS 8.1.2). Once your phone has the latest software update installed check if it will now ring. If the issue still persists and you’ve checked all of your phone settings and found nothing that may cause this you should try checking the headphone jack port as well as the lightning port. If dirt is present in any of these ports your phone may think that it is connected to a speaker dock or headphone. Try cleaning the ports with a toothpick. You should also try to restart your device and if the problem still exists, do a reset. If all troubleshooting steps fail then you should bring your phone to the nearest Apple Store for checking. Problem: I have the following problem on a brand new iPhone 6 plus 128gb. If I enable icloud sync, my battery is always on usage even when the phone is not in use. The only way to overcome this is to remove my icloud account or put my phone in plane mode. So, it seems that my icloud account got corrupted and uses network all the time. The battery completely drains from 100% to 0% within 11 hours without even toutching the device! My battery usage stats shows that the drain comes from Settings app as well as the Home and Screen Lock. I’ve tried all of the following without results. Solution: I see that you have already restored your phone and set it up as new. While setup as new and with iCloud activated does the battery drain issue still exist? If it does then you should try to check first if there are any new software updates available for your phone. If your phone is already running on the latest software then this might already be a hardware related issue. I suggest bringing your phone to the nearest Apple Store for checking. Problem: I have a white line that showed up out of nowhere and the bottom of the screen running diagonally from bottom left of screen. I don’t know what is going on. Solution: If you see lines on the display of your phone the first thing that you should do is to do a restart. You can do this by pressing and holding the Sleep/Wake button until the red slider appears. Drag the slider to turn your device completely off. After the device turns off, press and hold the Sleep/Wake button again until you see the Apple logo. If the issue still persists after a restart then reset your phone. You can do this by pressing and holding both the Sleep/Wake and Home buttons for at least 10 seconds, until you see the Apple logo. The final troubleshooting that you can do on your end if the issue remains is to restore you device to factory settings. Take note that all data from your phone will be deleted so you should make a backup first. If you are still seeing the white line at this point then you should bring your phone to the nearest Apple Store for checking as this may already be a hardware related problem. Problem: I just bought my iPhone 6 Plus on December 27. Starting today for some reason, I cannot send group texts (iMessages or SMS texts) or voice texts. Please advise. My phone is running on iOS 8.1.2. Solution: If the issue just recently started then you should try to restart your phone and see if it gets resolved. In most cases a restart fixes any software related issues. If you are still unable to send group text messages or voice texts then the next thing you should do is to contact your service provider. There may be an issue with your account or there may be network problems in your area that is causing this problem. If the network and your account is fine and you have already restarted your phone then follow the troubleshooting steps listed below as recommended by Apple. Go to Settings and turn airplane mode off. Make sure that you have a cellular network signal in the status bar of your iPhone. If there’s no signal, learn more about troubleshooting no service. Tap Settings > General > Reset > Reset Network Settings on your iPhone. Remove your SIM card and insert it again. If at this point the problem still exists then you should backup your phone data then restore it to its original factory settings. Problem: After charging for about 2 hrs, the device still refuse to turn on. I assume it switched off on its own because the battery was empty. The last time I check it was at 20%. How long does it take to recharge iphone6+? Solution: If the battery is fully drained you should be able to turn on your phone in around 15 minutes after it is connected to its wall charger. If your phone still does not turn on then hold the HOME and POWER (aka SLEEP) at the same time. An Apple logo should appear in 10 – 20 seconds. Release both buttons, wait about a minute, and your phone should be back to normal. If you are still not getting any response at all from your phone then try using another wall charger and another USB cable. You may want to bring your phone to the nearest Apple Store for checking if the issue persists. Problem: I’ve tried “reset all settings” but it won’t connect nor will my macbook pro show up on my iPhone, help! If you notice there is no support for file transfer. This the reason why you cannot pair your phone to another device for file transfer purposes. Problem: My touch id hasn’t been working lately, I updated to iOS 8.1 and it still worked, just about 3 days ago it recognizes my finger print about 1 out of 8 times, also when I try to add another finger print it says that it is undetectable, I’ve tried with multiple fingers and other people and it still says it can’t, nothing else seems to be wrong with the phone just this. Solution: Below are several troubleshooting steps suggested by Apple to resolve any Touch ID related issues. Make sure that you’re using the latest version of iOS. Cover the Home button completely. Don’t tap too quickly, don’t press down hard, and don’t move your finger while Touch ID is scanning. Make sure that your finger touches the metal ring around the Home button. If you’re using a case or screen protector, make sure it doesn’t cover the Home button or the surrounding ring. If it does, remove the case or screen protector and try again. Tap Settings > Touch ID & Passcode and make sure that iPhone Unlock or iTunes & App Store is on. Also make sure that you’ve enrolled one or more fingerprints. If you can’t enroll any of your fingers, take your device to an Apple Retail Store, Apple Authorized Service Provider, or contact AppleCare for help. Problem: When I open the phone icon the contacts at the bottom is missing. Also only showing the numbers under recent and the message icon. Solution: This issue could be caused by a glitch in the software. First, make sure that you are running on the latest software update. These updates come with improvements and bug fixes that may help resolve the issue. Next, you should perform a reset on your device by pressing and holding down on the sleep/wake and home buttons together. When you see the Apple logo release the buttons. Anyone w/128gb download new 8.1.3. & have any better luck with sync??? Not I!! !